2 Fast 2 Furious is a 2003 American street racing action film directed by John Singleton. It is the second installment of The Fast and the Furious franchise. Brian O'Conner (Paul Walker) teams up with his ex-con friend Roman Pearce (Tyrese Gibson) and works with undercover U.S. Customs Service agent Monica Fuentes (Eva Mendes) to bring Miami-based drug lord Carter Verone (Cole Hauser) down. After allowing fugitive Dominic Toretto (Vin Diesel) to evade arrest, former LAPD officer Brian O'Conner (Paul Walker) finds himself on the run from the FBI and leaves Los Angeles to start a new life. He travels across the U.S. in a red 2001 Mitsubishi 3000GT, entering various drag races and winning large amounts of money. The FBI issues a country-wide manhunt against Brian and one day, the police locate him and repossess his car, forcing him to leave on foot. A girl (Minka Kelly) picks him up after he hitches a ride, and she drops him off at the local car lot, where he buys a 1999 Nissan Skyline GT-R R34 with the money he won. After winning several more races, he decides to settle in Miami. While in Miami, he meets Tej Parker (Ludacris), an ex-street racer/organizer who leads a top racing garage, as well as Jimmy (Jin Auyeung), a well-known car tuner who works with Tej, and Suki (Devon Aoki), another street racer, and now lives in a small cot near Tej's garage. After taking his Skyline to the streets of Miami and winning in races organized by Tej, he establishes a name for himself as one of Miami's top drivers, earning the nickname Bullitt. After settling in Miami, Brian, now going by the street name 'Bullitt', makes a living by racing for money. 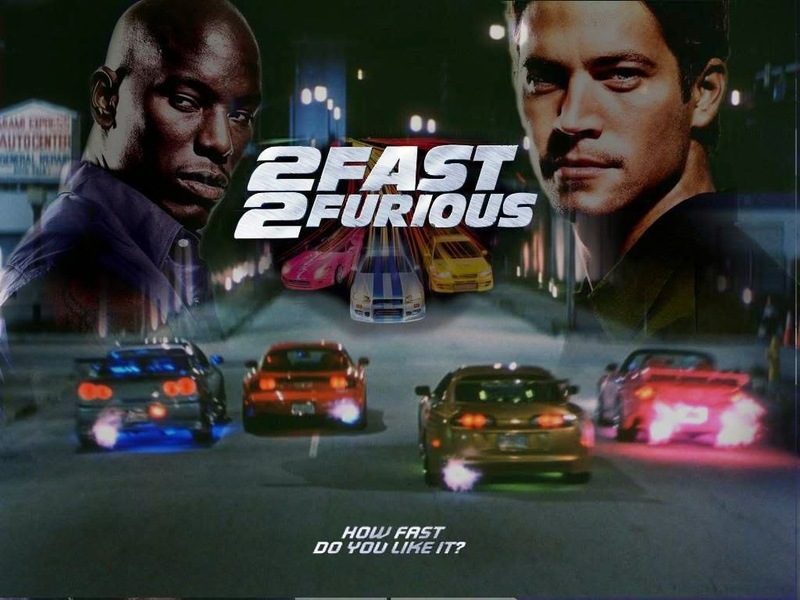 Tej organizes a local street race, involving Suki, Orange Julius (Amaury Nolasco) and Slap Jack (Michael Ealy), and calls Brian who agrees to be the fourth driver for the race. Brian wins the race and receives the prize, although he gives a few thousand to Tej to show his gratitude. The police arrive at the scene, forcing all of the racers to flee. While driving away, Brian is caught by U.S. Customs Service agents after his car is disabled by the grappling hook-like ESD (Electronic Disruption Device) deployed by U.S. Customs Service Agent Markham (James Remar). While in custody, his former boss, F.B.I. Agent Bilkins (Thom Barry), makes a deal with him: should he take part in a joint F.B.I.-Customs Service mission to bring down Carter Verone (Cole Hauser) a ruthless drug lord, his criminal record will be wiped clean. Brian accepts on the condition that he can choose a co-driver. Brian and Bilkins travel to Barstow, California, where he persuades his childhood friend and ex-convict Roman Pearce (Tyrese Gibson), to help him, in return for his record being cleaned and his house arrest being depleted. Their mission involves working undercover as street racers for Verone, with help from Monica Fuentes (Eva Mendes), an undercover U.S. Customs Service agent who Brian takes a liking to. Pearce and Brian win an "audition" race and are selected for Verone's job, a money laundering run. After witnessing Verone torture Detective Whitworth of the Miami P.D. into giving them a window of opportunity to make their getaway, Brian and Rome are warned by Fuentes that they will be killed once the drop is made. Markham refuses, claiming that this is a one time opportunity to catch Verone and threatens them with jail time if they refuse. Brian, knowing that the gung-ho Markham will blow their cover, makes a backup plan. The team challenges a pair of muscle drivers they raced earlier for pink slips. Despite the engine and power output handicaps, Brian and Rome manage to win the cars, while patching up their differences. Once Brian and Rome embark on the mission with Verone's money in their cars' trunks, and two of Verone's henchmen riding along, Whitworth calls in his units. Brian and Pearce lead the police in a high speed chase to a warehouse complex, which is surrounded by police. A scramble ensues, in which many other street racers, led by Julius and Slap Jack distract the police, allowing Brian and Pearce to sneak away. Two cars are cornered, only it is revealed that Tej and Suki were the ones driving. In reality, Brian and Rome are driving to the drop in the cars they won, to show the henchmen that they were not with the police. Brian finds out that the drop is not the airstrip, which Markham and his men have stormed, but the Tarpon point exit. Verone, waiting for them there, reveals that he knew Fuentes was an undercover U.S. Customs Service agent and gave her the false info. Rome saves Brian from being killed by Verone's henchmen and the duo drive the car to rescue Monica, launching it onto the yacht and injuring themselves in the process. Brian shoots Verone, disabling him and leaving him to be arrested, and the duffel bags carrying his drug money are recovered. With their records clean, Brian and Rome inform each other that they have swiped some money from the bags, much to their glee.